Sure I read your using optical for the sound at some point, wont that degrade the audio what with it not being digital and all? Doesn't it downscale though due to it not being HDCP compliment? Optical cables still carry a digital signal, so the quality of the audio getting to the receiver would be the same as going via HDMI. HDCP only stops the copying of video and audio with unssupported devices (DRM for HD, if you will) so there's no downscaling as a result. Just that the audio could easily be copied (recorded) by a device attached to the amp. As far as i'm aware (and im no expert), optical is physically capable of carrying HD audio but the protocol (S/PDIF) isn't.. So any audio passed via optical will not be HD, it will be downgraded. Silly really. Nice setup mate, Denon 1909 is a luvvverly amp. looks good mate - but hate to be the bearer of bad news - but looks like things are going consoless - read somewhere that soon we'll be able to play video games without a console - it will all be streamed or something! not sure about that as theres little info about it and how it would work in the real world. 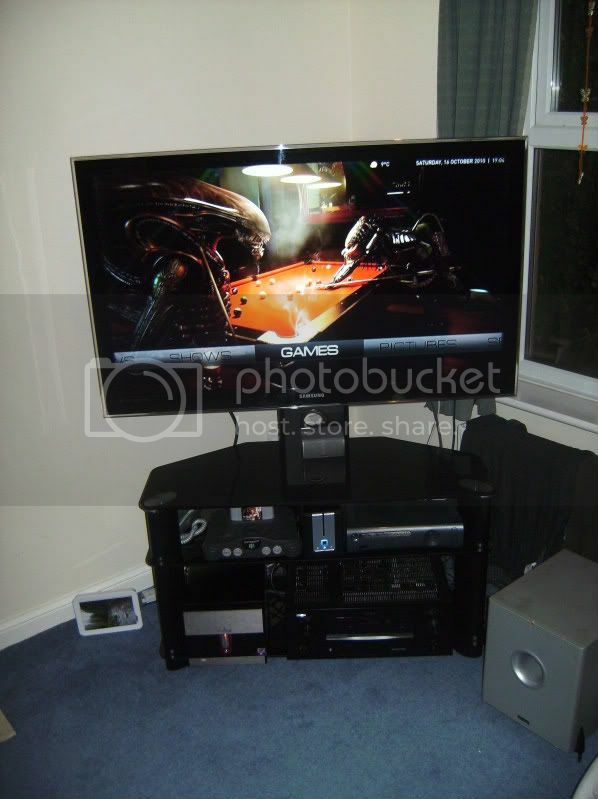 My Dad promise me to buy this samsung 3d tv for me at this Christmas..